As a sector-wide support unit, LOCSU carries out a range of communications, publicity and media activities to promote the role of the Local Optical Committee to deliver eye health services through optical practices and to highlight the importance of the sector to key decision makers in government, the NHS and with health opinion formers. Supporting effective LOCs and keeping them up-to-date is our primary objective. LOCSU publishes a regular newsletter and social media feeds to achieve this. These aim to keep LOC officers informed about the latest developments on the commissioning of local eye health services and to promote our training activities to ensure LOCs operate as effective local representative bodies. Join our mailing list to receive regular updates directly to your device or inbox. We can provide a range of experts, such as our Optical Leaders, based across England for interview on any aspect of clinical eye health pathways and local community optometry services. 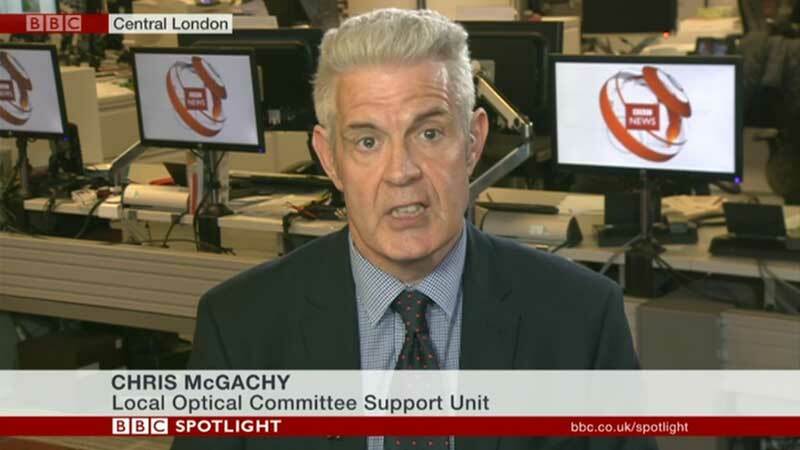 As the national support unit for Local Optical Committees, LOCSU is the go-to organisation for the optical and specialist health publications providing news, comment and analysis on eye health services and NHS commissioning stories. For media enquiries contact Head of Communications, Chris McGachy, 020 7549 2053. For more details of our coverage and activity, visit the Media Centre pages of the website.